Stock sheds are for immediate delivery. Often deliveries can be scheduled in a week or less (slightly longer in spring rush). You can also order any shed with your own colors and options. 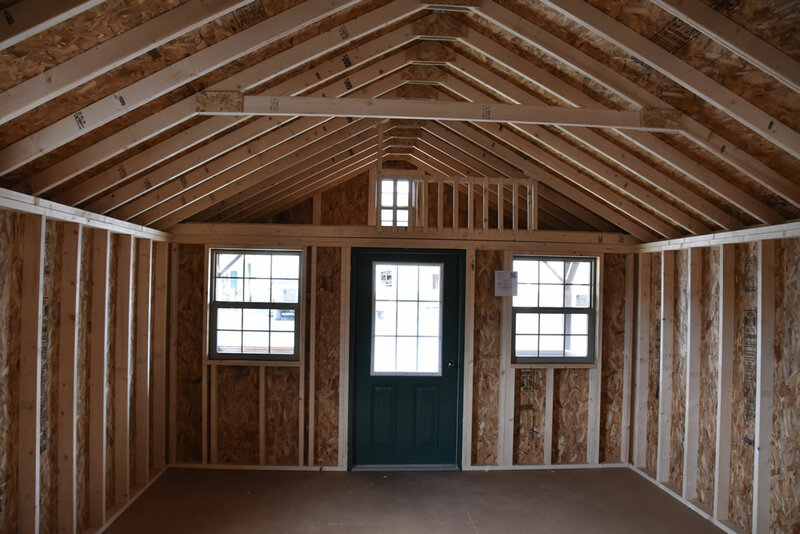 Recreational cabins are designed for seasonal weekend retreats. 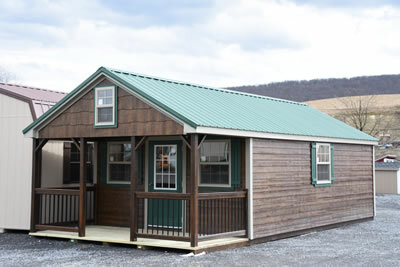 Pennsylvania and some other states have cabin exemptions. 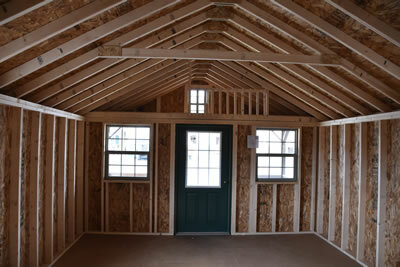 Exempt cabins do not need to be inspected or follow housing codes. Our recreational camping cabins are ideal for exempt cabins. Link to PDF PA Cabin Exemption form. Mushroom Stain Siding, Red Trim, Red Metal Roof, Base cost 2 Story $19,000, Electric package $1,000, Insulation package $2,200 (includes floor, sidewalls and ceiling), Finished walls and ceiling in pine including stairway and extra room with door $5,700, Upstairs unfinished. 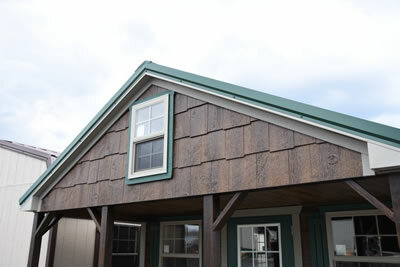 The base unfinished price of the 14 and 15 wide 2 story cabins is double the regular camping cabin pricing.